I worked with the board of directors to develop an icon with the right look and feel until we settled on the concept of an abstracted kite. The pieces of the kite symbolize the parts of the community coming together to make it possible for a child who is struggling to feel free and take flight. The colors were based on research of current color trends and a knowledge of brand application in their future. It reminds me of popsicles on a summer day, youthful, carefree and happy. 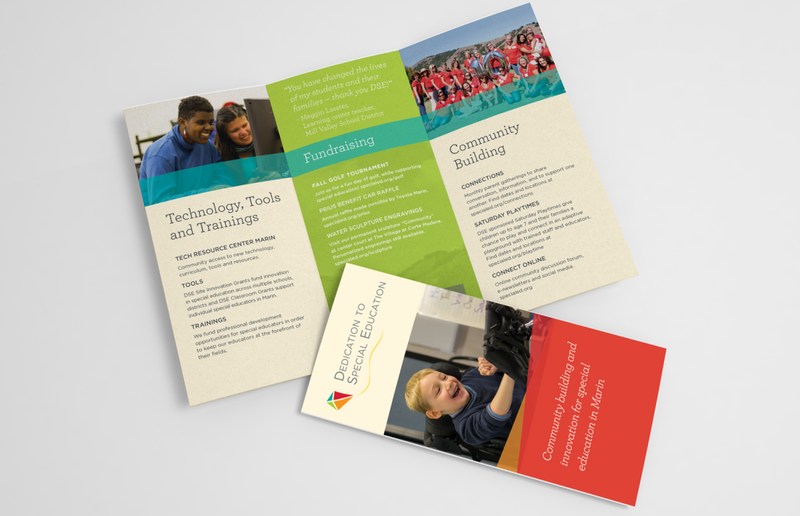 After rolling out the logo and style guide we next proceeded to design a new print brochure for the organization. We used the new branding scheme to create a visual hierarchy that was very clear and readable to accommodate a target audience who may have difficulty with small type.